Cole was shot and killed early Wednesday in Norridgewock. SKOWHEGAN — Musician Scott Cole said he dedicated a song at a local venue the other night to his Uncle Gene. The song, a traditional Christian spiritual called “I Surrender All,” was the first song he learned as a boy, and he would play it for his uncle. Uncle Gene was Somerset County Sheriff’s Office Cpl. Eugene Cole, who was shot and killed early Wednesday in Norridgewock. John D. Williams, 29, of Madison was arrested Saturday on suspicion of murder. He is expected to appear in court this week to face the charge. A court date has not been announced. 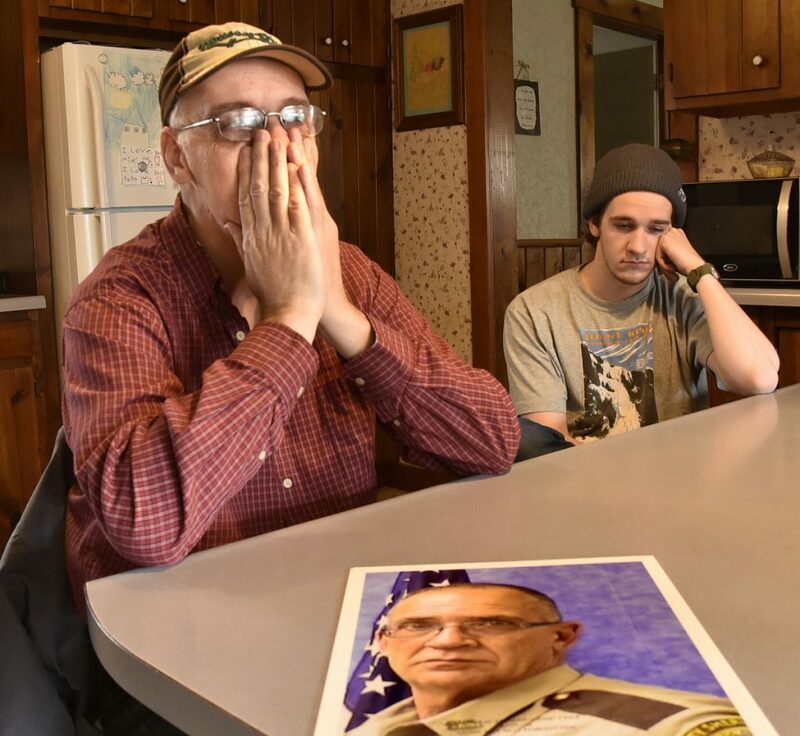 Behind the badge, Gene Cole was a family man and a music man, his brother Tom Cole said Sunday from the family kitchen in Skowhegan. Tom, 59, and Gene, 61, played music together in a local band called Borderline Express. The brothers also did acoustic guitar acts as The Cole Brothers. Tom Cole, a onetime prizefighter with a record of eight wins – seven by knockout – and five losses in the 154-pound class, also is an Elvis Presley impersonator whose shows have sold out the Skowhegan Opera House. Scott Cole, 23, is the guitarist and lead vocalist for the pop-punk band Uncle Spudd, based in Skowhegan. Their initial record release last year made the top 15 local albums of the year sold at Bull Moose Records. “Music with Gene and I, it was huge,” Tom Cole recalled Sunday. “We’re brothers. We did everything together growing up. I remember sitting around and Dad would play guitar and we’d all sing. Their brothers, Fred and Billy, also played guitar. “Now I’ve lost all three,” he said. The family played mostly classic country music. As a lead guitarist, Gene played with his brother Tom in Borderline Express beginning in 1987 for more than 20 years, and after his retirement from the group in 1994, he continued to fill in for them occasionally. Tom said the band still plays gigs around Maine. Most recently, Gene and his brother Tom – as The Cole Brothers – played at T&B’s in Skowhegan every month. Scott Cole’s band Uncle Spudd experienced another tragedy last year. The father of the band’s bass player, Mike Spaulding, was slain on July 5, 2017, on Russell Road in Madison. Carroll Tuttle Jr., 51, shot his partner, their son and the elder Spaulding – Michael Spaulding, 57 – before being shot to death by sheriff’s deputies. “When everybody was around, he was the strength, I think, for everybody else,” Scott said of Mike Spaulding after his father’s death. “We’ve had some talks about it and he definitely suffered. As for his brother’s shocking death this past week, Tom Cole would say only that the arrest of Williams has brought “relief and the beginning of closure,” but not enough to fill the loss of Gene.